Speed time to market while maintaining compliance. You're not alone. Read this free guide to learn how to transform regulated content and digital asset management with speed and compliance. Learn how you can reduce time spent on promotional materials review and save on annual marketing spend, all while maintaining compliance. Discover the six essential steps to building and improving your digital supply chain - from shoring up processes to gaining a competitive edge. Use Veeva's Operational Health Checklist to help assess potential gaps in your organization that are necessary to support an increase in marketing with digital content. 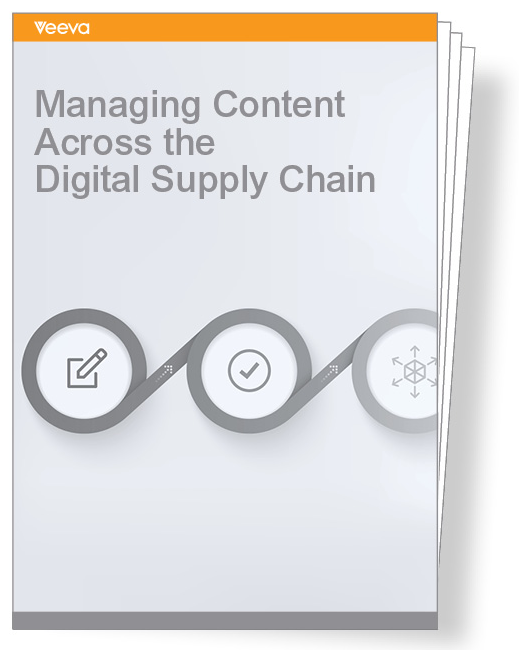 Learn how to enhance visibility, facilitate asset reuse, and manage content across your digital supply chain with this free white paper.